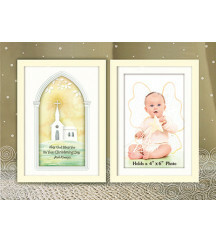 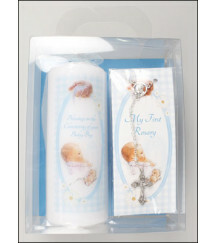 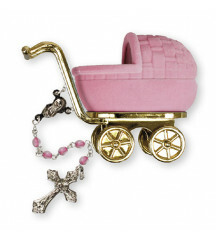 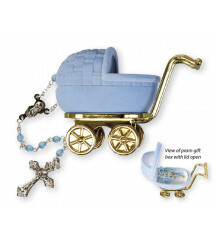 We have beautiful and inspirational Gifts for Baptism and Christening. 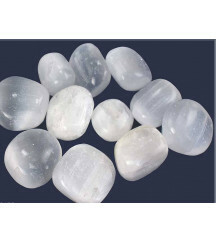 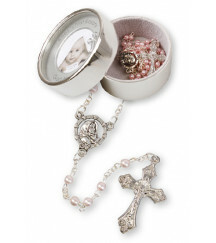 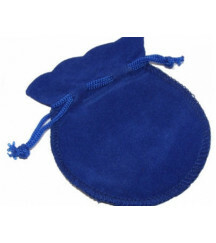 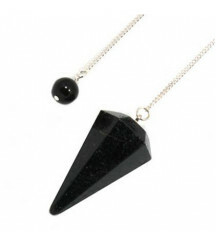 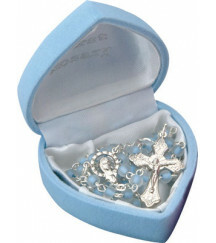 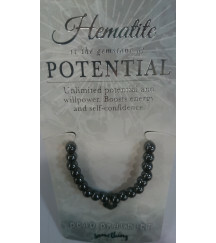 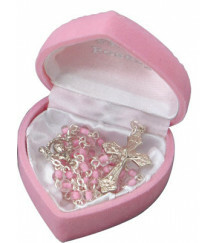 Our wide range of gifts includes Traditional gifts such as rosaries and more Contemporary such as Silver Plated gifts. 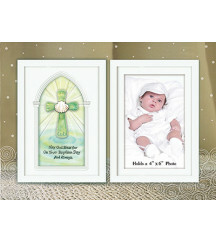 Glass Photo Frame BaptismSize: 8 1/4 X 11 1/4Holds Photos 4"X 6"StandingWords: May God Bless You on Your Baptism Day and A;ways..
Glass Baby Rosary with 4 mm beadsPram Shaped Velvet box Blue.. 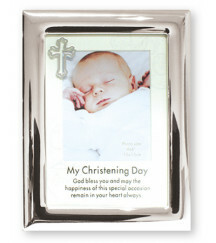 Gift Boxed Candle with Blue RibbonBlue BoxPicture with a baby boyWords: On Your Christening Day6" High Burning Time - 36 Hours.. 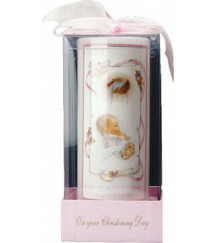 Gift Boxed Candle with Pink RibbonPink BoxPicture with a baby girlWords: On Your Christening Day6" High Burning Time - 36 Hours.. 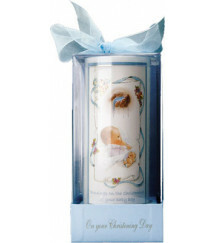 Gift Boxed Candle with Blue RosaryAcetate Gift Box with HandlePicture with a baby boyWords: On Christening Day of your baby boy7" HighBurning Time - 46 HoursRosary with 4 mm beads .. 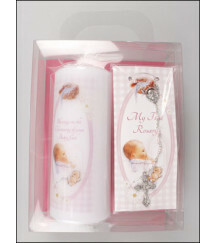 Gift Boxed Candle with Pink RosaryAcetate Gift Box with HandlePicture with a baby girlWords: On Christening Day of your baby girl7" HighBurning Time - 46 HoursRosary with 4 mm beads ..
Glass Photo Frame ChristeningSize: 8 1/4 X 11 1/4Holds Photos 4"X 6"Standing Words: May God Bless You on Your Christening Day and Always..
Metal Photo Frame Baptism/ChristeningSize: 6 5/8 X 8 5/8Holds Photos 4"X 6"StandingPolished Silver FinishWords: My Christening Day God Bless You and may the happiness of t..
Glass Baby Rosary with 4mm beadsHeart Shaped Velvet box Blue..
Glass Baby Rosary with 4mm beadsHeart Shaped Velvet box Pink..
Glass Baby Rosary with 4 mm beadsPram Shaped Velvet boxPink..
Glass Baby Rosary with 4 mm beadsMetal Keepsake Photo Box Pear Finish Rosary Pink..